Lost Subs tells four stories of disaster and heroism in the face of almost-certain death. What brings these awesome machines down, to be catastrophically crushed at the bottom of the sea? What lessons have been learned from investigating the wreckage of downed subs? 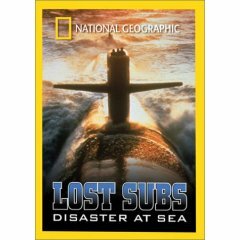 The US and the former Soviet Union have both lost subs to the dark waters of chance and tragedy, and the stories from both sides - of K-19, the Kursk, the USS Thresher and USS Squalus will be told - by the submariners themselves, by their surviving family members and sometimes by the corpse of the downed submarine itself.